Quavo Huncho album is now out, and we have all of 19 tracks to unpack and let y’all know what’s going on, particularly with “Huncho Dreams.” Overall the album is fire, but too long for sure. Maybe twelve tracks would’ve done the trick because a lot of fans are complaining about the length of the project. Huncho is a harder worker, so perhaps he is just offloading some of the music he got on his hard drive. 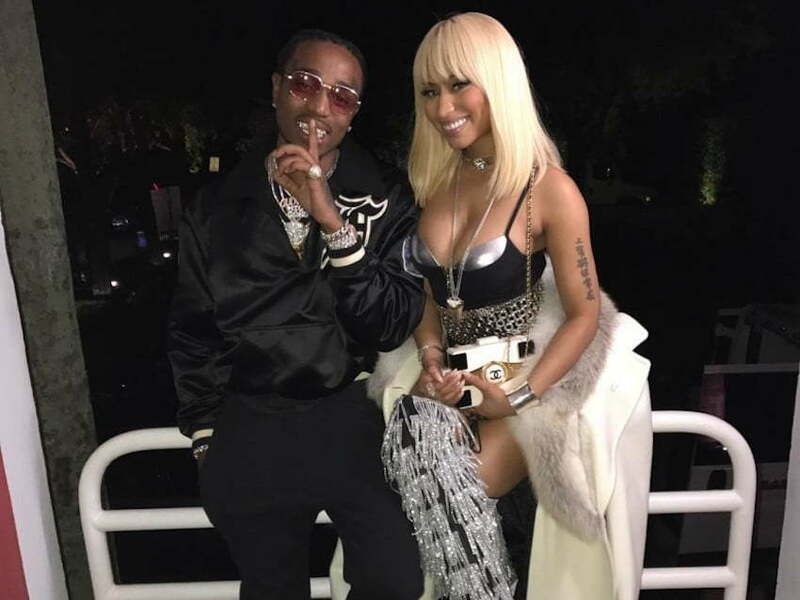 The biggest takeaway from the album so far is Quavo rapping about nailing Nicki Minaj on “Huncho Dreams.” Some folks are saying that the Migos rapper snapped on Nicki, while her Barbz are questioning the motive and wondering if they should give him the smoke. “She said I hurt her feelings 52 times (Two) / Call up queen (Nicki) / The queen can’t flex on a young bull (Flex) / Made her scream (Scream) / Chanel, I bought her two of ’em / You can check IG (Hey, IG) / ‘Cause when she post, it go up (Go) / Is she for keeps? (For keeps),” Quavo raps. Earlier this year, Nicki Minaj shows off an expensive Chanel purse that someone bought her. She didn’t reveal the name of the mystery man that bought her the purse, but now it’s all out in the open after Quavo said he was the one who dropped thousands of dollars on the purse for Chun-Li. Next up, Nicki Minaj revealed in a previous interview with Zane Lowe on Apple Music’s Beats 1 that Quavo hurt her feelings when he didn’t defend her during the “MotorSport” controversy. The Migos rapper also references Nicki’s ex-boyfriend Safaree Samuels and also used the phrase “Young Bull” which another one of her ex-boyfriends, Meek Mill, used quite frequently. Quavo is almost certainly going to get that “c**ksucker of the day” award on the next episode of Queen Radio.